Pala Store may be a hundred yards away from Pala Casino Spa & Resort, but it feels like it’s a creature from another planet. It is, too, for this store lives in a parallel universe, both in space and time. 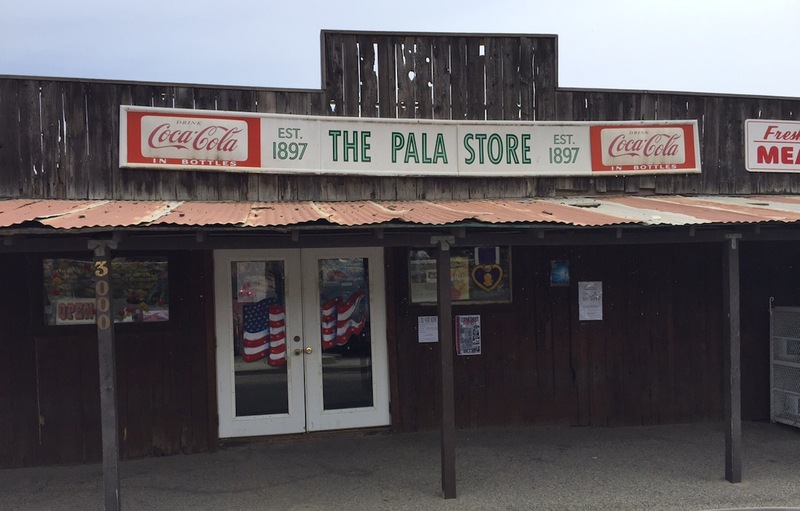 At 3000 Pala Mission Road, the store that has served as focal point for nearly eight decades was, and remains, the only store from Pala at the junction of Pala-Temecula Road across the Riverside County Line to Temecula. Pala-Temecula Road is a winding, two-lane road that once served as the only way to get there from here. It’s still there and still the most direct, attractive route to Temecula, but has been superseded on road maps by Interstate 15, about five miles up Highway 76 west. That road is more than a metaphor for what’s happened with the store as well. It’s still there, quirky and useful with all the same ambiance and service that always have distinguished it’s reign, just across Pala Mission Road from the historic Mission San Antonio de Pala. Highway 76, which had been widened and quickened to allow for the casino, is so close and yet so far. Casino visitors, focused as they tend to be, generally are oblivious about this piece of vintage San Diego North County. It could be in Timbuktu for all they know and care. Yet, cross that football field of turf and intention, and there it is, same old, same old Pala Store. This is Ground Zero for Pala past, present and future. The sign remains rusted. Built just before the Great Depression, and owned and operated by the Freeman family ever since, The Pala Store had been all there was when it comes to groceries and shopping in Pala. 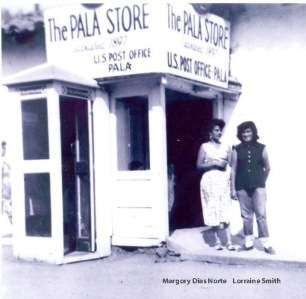 Historic view of Pala Store. This being a small community of about 600 people, including a little less than half the Pala Tribe’s 800 members, that is a bump on the road from Palma Valley to Temecula; of course, Aunt June was at the store, too. 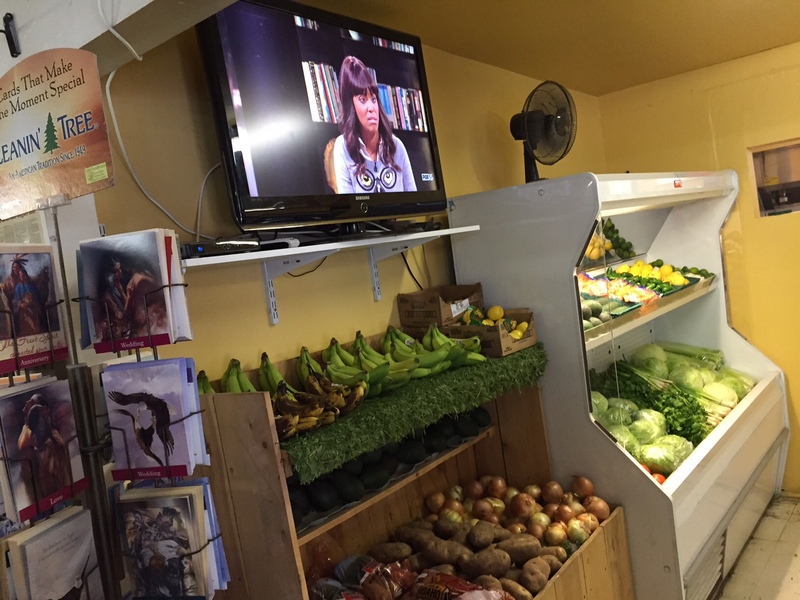 The Freeman family created a diversified concern, that carries on its traditions to be sure. You can buy a leather jacket, Native American crafts, Levis, curios, Indian jewelry, meat, dairy, a meal at the store’s coffee shop or even get mail at a U.S. Post Office in a store alcove. Or you could kick back a spell in a country store setting and shoot the bull a bit. Pala Post Office inside Pala Store. Not to mention their visits to the Post Office at the Pala Store. 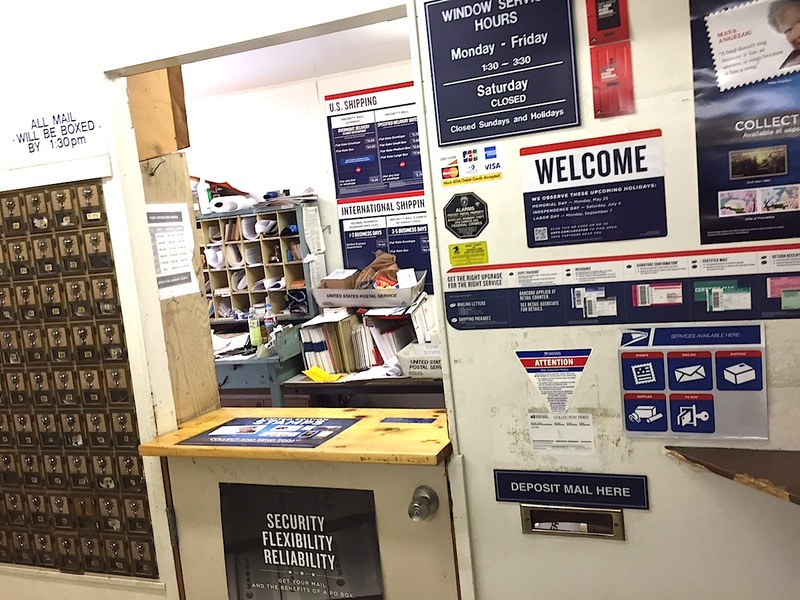 It’s a small 1980’s-era addition to the 800-square-foot store with Norma Continelli, a postal clerk, dispensing correspondence, stamps and good will. It’s one of the few places in the world where you can get your mail, and buy a cake, too. When California voters approving Propositions 1A and 29 solidifying tribal gaming, members of the Pala band of Mission Indians were excited about prospects for a 100,000-square-foot casino on the 11,000-acre tribal lands straddling Highway 76, east of Interstate 5. Pala officials hired Anchor Gaming of Las Vegas as consultants. Pala Tribe members took our more than $200 million in loans to build the grand casino in 2001. The gamble paid off handsomely. Today, each tribe member receives receives as much as $150,000 annually paid in monthly deposits along with free health care, free college tuition and no state income tax. Pala Casino is a huge success, its local financial success almost belied by the quaint, old homes just off Pala Mission Road although part of the town displays modern posh suburban-style living. A beautiful institution such as the Pala Store, I once believed, probably would be lost forever to the hustle and rush of casinoville. No more kids on their way to and from school scarfing up cold drinks and snacks. No longer will folks from all over this beautiful rural valley stop by daily to shoot the breeze and make their groceries. Clearly, I was mistaken. Pala Store stands at the end of the road, bridging modern day cares with a timeless elegance, utility and grace. May it continue so stop time until time stops. 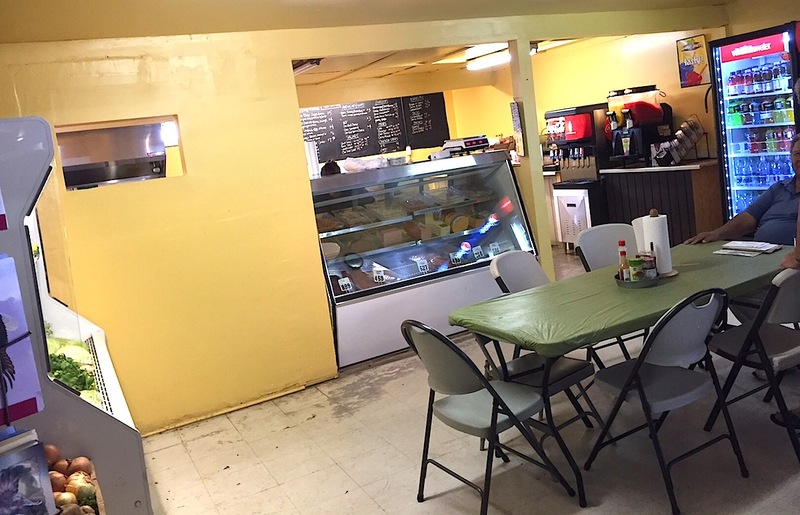 Deli and dining area inside the store. Pala Store produce and HDTV aisle. Be the first to comment on "Pala Store at the end of the road"